I know the pain and paralysis that comes from being terrified to speak up in public. As a child, my throat would close every time I tried to speak in front of my classroom, so I quit raising my hand. If Williston High School would have required speech, I would have chosen a GED. As a homecoming queen candidate in college, I was too afraid to walk on the stage and intentionally disqualified myself. I purposely spent years on the sidelines just to avoid standing out in front of a crowd. Avoiding public speaking as an entrepreneur is a recipe for failure. Practicing this skill has helped me grow a business that makes a difference in the world. It’s especially important that our sons and daughters see bold women stepping out of their comfort zone, and female leaders challenging the unconscious biases around our roles in this world. HERE ARE MY TOP 4 REASONS FOR STANDING UP AND SPEAKING OUT. Believe it or not, most people are more afraid of public speaking than death! Fear is the biggest cause of anxiety when it comes to public speaking, not a lack of skills. Effective public speaking requires dedication and strenuous practice. After founding EarthKind, my purpose quickly grew bigger than my fear. Despite decades spent holding myself back, I finally admitted that I needed training. I joined Toastmasters and hired a professional speaking coach, Scott DeMoulin of Destiny Training. Practice and preparation can replace performance anxiety, I promise you. Once the tight grip of panic loosens, it’s easy to see that fear is simply false evidence appearing real. Taking the first step makes the next one easier. My own fear came from feeling unprepared, so my first step was crafting an authentic message that was relevant and engaging. Focusing on perfecting my message instead of fueling my fear gave me the confidence to step up. With that formula, I knew could improve upon the silence and truly empower others. Being ‘too introverted’ to speak up was an excuse I no longer needed. Everyone knows networking is crucial for success, but if you can’t speak up, how can you build a network? 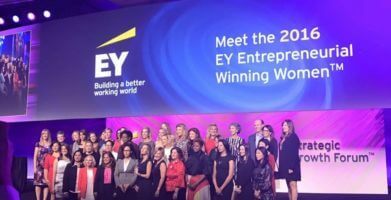 One of the first things I learned as an EY Entrepreneurial Winning Woman was how to deliver an ‘elevator pitch.’ At first, I thought it was silly, but 30 seconds was something even my inner introvert could handle. I took a chance and tried it. This 30-second speech engages others and has taken me around the world – literally. I realized how speaking up instantly attracted likeminded people, and quickly repelled the rest. Ali Brown, a sister EY Winning Woman, is masterful with elevator pitches! After spending one life changing day with her in 2012 in NYC Times Square, I’m a believer that good elevator pitches matter. The social connections and networking opportunities I’ve gained from speaking up have been invaluable. The idea that you need to be the change you want to see in the world has always been important to me. Sharing my vision of a kinder world was only possible if I was willing to speak out. 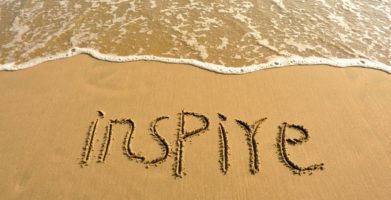 Speaking in public enables you to inspire others in many ways. Motivational speakers are constantly using their perfectly honed public speaking skills to make the world better through inspired change. Speaker training has helped me secure earned (free) media spots on Fox News, CNN, New York Times, LA Times and many more, creating millions in free press. 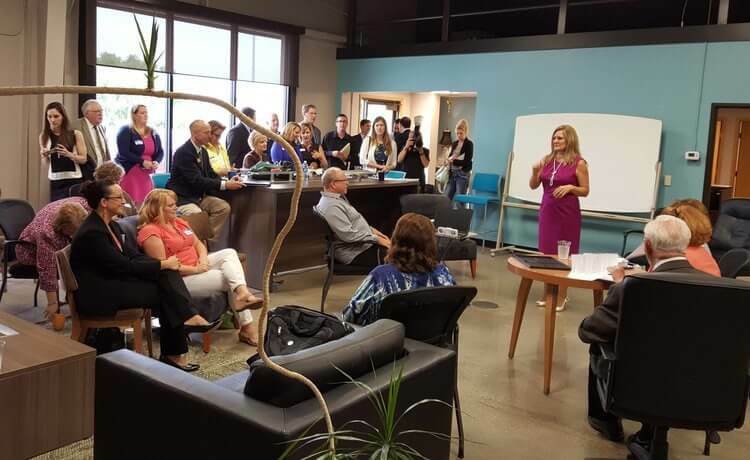 Practicing my public speaking skills has led to being recognized as an expert in my industry and a top-rated guest and panelist, helping spread kindness far and wide. This training also opened the door to work with the Federal EPA, US Senators, The White House, and The Small Business Administration through a NWBC Federal appointment. Public speaking has made my life more inclusive. Some people say we become the sum of the 5 people we are influenced by daily, so I take great care to choose wisely. Speaker training has introduced me to a wide-reaching variety of people and settings. Communicating effectively and efficiently to a broad audience amplifies the message. After attending a women-only speaker boot camp, I figured out how to deconstruct my inner public speaker and create a virtual megaphone for my message. 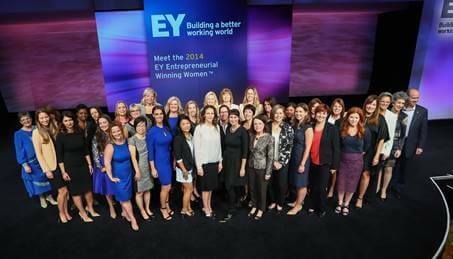 Working closely with a diverse group of female CEO’s, authors, and industry leaders taught me new ways to lift others up and reach new heights. The impact of improved communication skills was noticeable almost instantly for my business. Since the training, my media interviews have lasted longer, been more engaging, and internal meetings have been more productive. The greatest public speakers remind people to see the basic humanity that we collectively share, igniting that spark of divinity within us that longs for meaning and connection. Once we feel that spark, we’re kinder to one another, and there’s no going back.